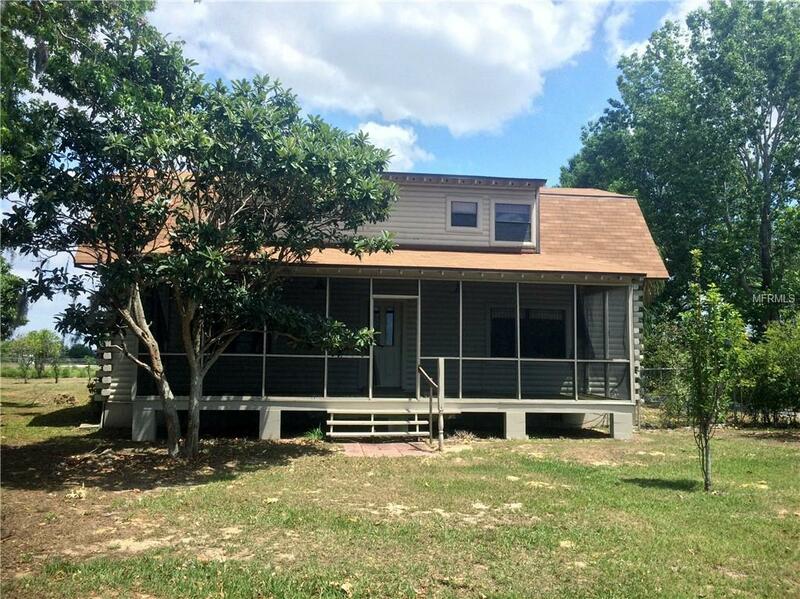 2 STORY LOG CABIN LOCATED ON 3.35 ACRES. LARGE SCREENED PORCH WITH VIEWS OF CROOKED LAKE. OPEN LIVING/DINING COMBO WITH ELECTRIC FIREPLACE ALONG WITH A FORMAL FAMILY ROOM. MASTER BEDROOM WITH PRIVATE MASTER BATH IS LOCATED DOWNSTAIRS. UPSTAIRS THERE IS A 2ND BEDROOM WITH A PASS THROUGH BATHROOM TO A BONUS ROOM THAT COULD BE USED AS A 4TH BEDROOM. THE 3RD BEDROOM HAS IT'S OWN PRIVATE BATH WITH TUB AND SHOWER. OVER SIZED 2 CAR ATTACHED GARAGE WITH SIDE ENTRY AND WASHER/DRYER HOOK UPS ALONG WITH ANOTHER FULL BATH. PROPERTY IS COMPLETELY FENCED AND ALSO HAS CROSS FENCING PERFECT FOR ANIMALS. MULTIPLE STORAGE SHEDS/BUILDINGS AND A DETACHED 1 CAR GARAGE THAT WOULD BE PERFECT FOR A WORKSHOP. ROOF WAS REPLACED ON HOME IN APRIL OF 2017 AND THE HOME WAS SEALED AND PAINTED IN 2017. THIS HOME HAS SO MUCH TO OFFER AND WILL NOT LAST LONG. CALL TODAY FOR YOUR PRIVATE SHOWING! !